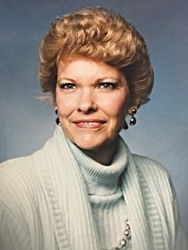 Donna Gayle Whitaker, age 78, of Grand Rapids, went to be with her Lord on Sunday, January 6, 2019. She was preceded in death by her husband, Cecil. Donna will be lovingly remembered by her children, Todd Whitaker, Tracey (Mike) Denton; grandchildren, Travis Whitaker, Rachel (Cameron) David, Holly (Jake) Newhof, Chelsea (Colin) Fuqua, Whitney Denton (fiance, Gabe Turner); sisters-in-law, Frances Baker, Sandy Cooney, Ginny Whitaker; brothers-in-law, Clifford Whitaker, Kenneth Whitaker; as well as her nieces and nephews. A memorial service will be held at 1:30 pm Saturday, January 26, at Stroo Funeral Home, where the family will greet visitors beginning at 1:00 pm. My mom and I were very sad to hear of Donna's passing. My mom said she was glad they could re-connect over the last year and she will miss her at Sunrise. Our sympathies go out to you both and your families.